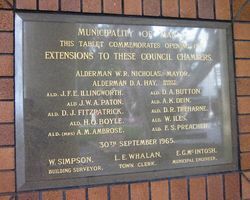 A plaque commemorates the extensions to the Council Chambers in 1965. Alderman W. R. Nicholas, Mayor. Ald. J. F. E. Illingworth. Ald. D. A. Button. Ald. J. W. A. Paton. Ald. A. K. Dein. Ald. D. J. Fitzpatrick. Ald. D. R. Treharne. Ald. H. O. Boyle. Ald. W. Iles. Ald. (Mrs) A. M. Ambrose. Ald. F. S. Preacher. 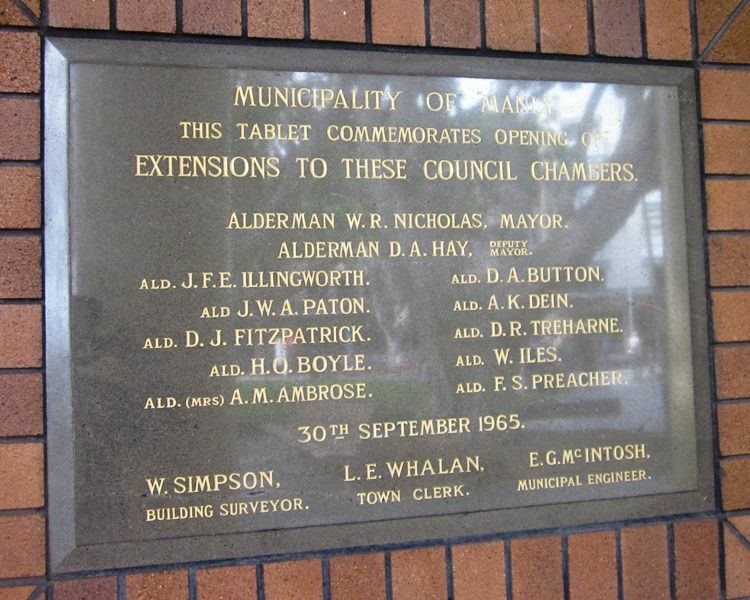 L. E. Whalan, Town Clerk. 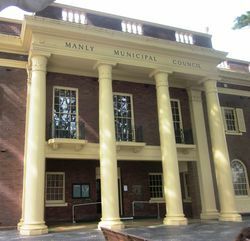 E. G. McIntosh, Municipal Engineer.